Taurine for Tesosterone’ is not a proposition we hear often. Just browse the ingredients of a dozen supplements purported to “boost testosterone” and you’re unlikely to find taurine in many (if not ‘any’) of them. That’s interesting because ‘taurine for testosterone’ is no more an outlandish hypothesis than the male hormone being allegedly raised by any number of ingredients in your “best-selling” T-boosters. Take tribulus terrestris for example. It’s an herb that’s been all but proven completely dead as a testosterone booster. The evidence against its effectiveness is greater than that for it. But it keeps being added to products, a practice that I think lowers the credibility of the companies selling them. So why not taurine for testosterone? It’s an amino acid-like substance that appears to be produced by the body in lesser amounts with age. It can help to lower blood pressure. It’s been used successfully to help treat congestive heart failure. And in animal studies, it’s been shown to boost testosterone. Could taurine be a viable component in a good T-boosting strategy? But taurine is also acquired from outside the body from foods such as fish and meat. Those have relatively high amounts of it. Dietary sources tend to provide about 55 to 60 mg. per day. The biggest human concentrations of taurine occur in the brain, retina, gastrointestinal tract, muscle tissue, blood cells, and heart. 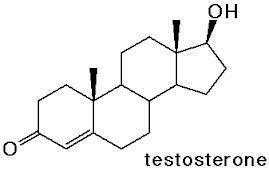 Taurine for Testosterone: A ‘Stimulator’ at the Cellular Level? Based on some rodent studies, it just might be needed for ‘T’ production. If you give lab rats taurine in their drinking water for a couple months, their testosterone, luteinizing hormone, and FSH rise considerably. Researchers suspect that taurine increases the number of receptors for hormone producing cells. The catch is that the animals were given high doses. The human equivalent of the amount of taurine given to these ‘raging bull’ rats was anywhere from 5 to 8 grams a day. That’s a lot. Human experiments have generally been with doses no higher than 3 grams per day. This amount has been deemed fairly safe over the long run. Researchers don’t really know how the body might react to long-term higher doses of taurine. Incidentally, people who drink 7 or 8 Red Bull ‘energy drinks’ a day are making themselves human guinea pigs for long-term effects of multi-gram daily taurine intake. For what it’s worth, another study revealed that rats given the human equivalent of 1500 mg of taurine per day were significantly protected against the testes-damaging effects of steroids. In that study, some rats were given weekly injections of the human equivalent of a weekly dose 140 mg nandrolone decanoate (steroid). Another group was given the same dose of the steroid along with the 1.5 grams of daily taurine. A control group was given only taurine while another control group were given nothing. As suspected, the steroid-taking rats experienced considerable suppression of functioning in their testes. The drug reduced the production of enzymes involved in the biosynthesis of testosterone, such as 3- and 17-beta-HSD. It also shrunk the size of the testes. These were two effects that were reduced but not prevented with taurine. But the taurine completely eliminated other steroid side effects. One of these was the reduction of glutathione, a major antioxidant. The steroid only rats had a huge drop in glutathione concentration in the testes. The taurine prevented this in the group that got the amino acid along with their injections. There was more production of inflammatory proteins in the steroid using rats – but not in the taurine/steroid using rats. More genetic damage occurred in the steroids-only rats – but not in the taurine/steroids rats. In the steroids-only rats, there was increased production of caspase-3 leading to higher asposis (cell death). The taurine prevented this in those rats that received it with steroids. Taurine: Antioxidant Protection where it Counts? My emphasis on the taurine-steroids study is not for the purpose of condoning steroid use in conjunction with taurine. Nonetheless, it’s obvious if a guy chooses to use steroids, he might be better off using taurine with them. To me, the study raises a different hypothesis – that of taurine being a necessary antioxidant for testosterone protection/enhancement as we age. If it provides the testes some protection against a drug-induced bio-oxidative attack, how much more could it provide against the mundane oxidation of daily function? I’ve added two grams per day to my antioxidant stack. I’ll update you on any effects over time. 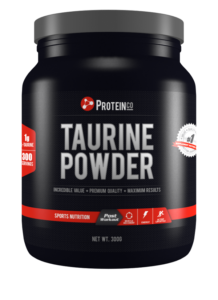 If nothing else, I’ve noticed taurine’s subtle calming effect – something that might be of aid in controlling cortisol. This, by itself, could help improve body composition and testosterone over time.